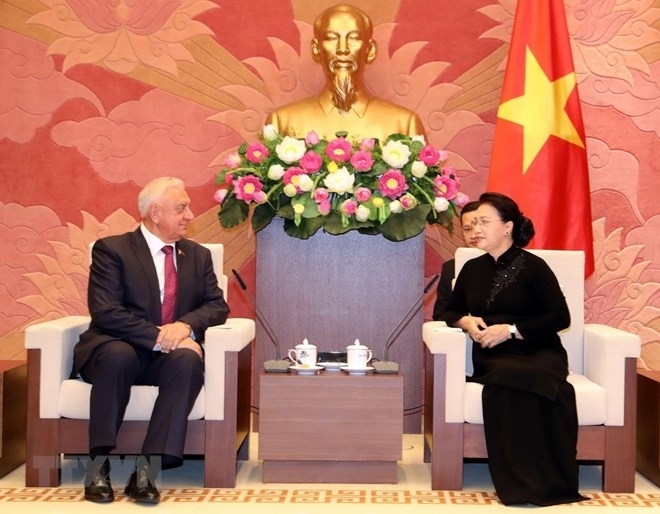 Vietnam treasures the traditional friendship and multifaceted cooperation with Belarus, stated National Assembly (NA) Chairwoman Nguyen Thi Kim Ngan when receiving Chairman of the Council of the Republic of Belarus Mikhail Myasnikovich in Hanoi on September 25. Mikhail Myasnikovich discussed Vietnam – Belarus cooperation potential with Chairwoman Ngan, stressing the fact that Belarus is among five member states of the Eurasian Economic Union (EAEU), which signed a free trade agreement with Vietnam. Increased cooperation between the two countries’ law-making bodies is key to push for effective implementation of the pact, he added. He said bilateral economy – trade ties expanded significantly in recent years but still can attain better outcomes. According to Myasnikovich, in addition to traditional goods like footwear, apparel, and farm produce, Vietnam now exports phones and computers to Belarus. He suggested Vietnamese firms set up joint ventures with Belarusian peers to gain a foothold in the European market. For her part, Ngan said Vietnam attaches importance to the implementation of bilateral commitments agreed between Vietnamese and Belarusian leaders, including cooperation documents signed during President Tran Dai Quang’s official trip last year. She noted Vietnam wants stronger ties with Belarus in economy-trade, defence, science-technology, culture-education, tourism, and cooperation between localities. 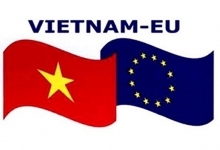 The sides should also capitalise on advantages brought about by the EAEU – Vietnam free trade agreement to expand their economic, trade and investment cooperation, she said. 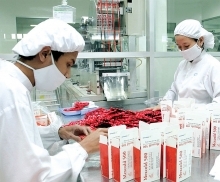 The top legislator stressed the Vietnam National Assembly is willing to work with the Belarusian parliament in creating favourable legal conditions for their enterprises to boost investment and trade. Expressing her satisfaction with effective joint work between the two law-making bodies, Ngan expected the sides to continue their coordination at multilateral parliamentary forums, consultation sessions concerning issues of common interest, and legislative experience exchanges. They should also increase the role of their groups of friendship parliamentarians in boosting bilateral relations, she said. Mikhail Myasnikovich took the occasion to invite the NA Chairwoman to make an official visit to Belarus.